Want to LOVE where you Live and/or Work?! Founded in 1993, The OMNIA Group Architects, headed by partners Gene Grimaldi and Brian Mann, continues to deliver premium architecture. As architects and designers, we perceive the conceptual big picture. Trained to see things beyond the limits of everyday life, in 3-D and into your future needs, Architects add value. OMNIA Group Architects is licensed in Pennsylvania, New Jersey, Delaware, New York, Virginia, Ohio, Indiana, Illinois, North Carolina, Tennesse, Kentucky & Florida. We understand that your projects are central to the lives and businesses of our clients and we take our responsibilities very seriously. This is reflected in the commitment to exceptional customer service at the foundation of everything we do. Our solutions create function and harmony. Peter Zimmerman Architects, an award winning firm, founded in 1982, is a full service residential design firm. Our firm has produced an extensive portfolio of private residences, barns, guest houses, pool houses, conservation easements, comprehensive property designs, private wineries and equestrian centers across the country. Our design philosophy is deeply rooted in the historic traditions of architecture: classical proportion and scale, the balance of shadow and light and the importance of the sustainable relationship between materials. We strive to design spaces that create a sense of transparency between the interior and exterior environments. All of our designs focus on the seamless integration between the built and natural environment, while remaining faithful to historic roots and responding sensitively to the surrounding cultural context. The unique natural features of each property greatly influence our design response. Architecture needs to respond to the individual characteristics of the site and the clients' personalized requirements in order to create spaces that engage and enrich their lives. The largest gesture down to the smallest element in our designs becomes an expression of the balance and harmony between the compression and expansion of space, the interplay of light and shadow and the rules of scale and proportion. Your house should be as much of a delight in a decade as it was on the day you moved in. Re:Vision specializes in green architecture, including unique homes that are Net-Zero Energy verified, Passive House certified, LEED Platinum, Living Building Challenge, and/or common sense green. Green design is not a premium service at Re:Vision…it is simply all we do, both as architects and as consultants directly to owners and other design teams. Our starting premise is that the most sustainable buildings are those that endure because they are well-built and well-loved. Given that over half our projects are residential in nature, we have special sensitivity to first-cost as well as long-term operating costs. For home design, we are particularly interested in the daily rhythm of a family’s life and how that changes over time. Many of our residential clients are building their first, and last, home. We enjoy guiding them through the process and we welcome questions and close collaboration. Lance R. Kraemer Associates, PC, an award winning architectural firm, strives to be responsive to the needs of the client as well as the environment. The firm responds to and endeavors to integrate the concerns of good site design, sensitive and appropriate building design and function, current technology, and a realistic budget in order to aid its clients in translating concept into reality. Lance R. Kraemer Associates, PC, is a multi-award winning architectural firm providing a full range of professional services to the individual client and the construction industry. The firm celebrated its 32nd anniversary in March of 2010 and was recently selected as Business of the Year by the Eastern Montgomery County Chamber of Commerce. The architecture and interior design firm of Abby Schwartz Associates has earned an extraordinary reputation for high quality, customized creative design, thorough documentation, and careful attention to detail. The scope of the firm’s work varies from single-family residential buildings to projects which are multi-family, institutional, commercial, as well as corporate. Services encompass full architectural and interior design, corporate image development, construction documentation, master planning and contract administration. Abby Schwartz Associates consists of a pool of talent that is friendly and spirited. Included are licensed architects, interior designers, architectural interns and staff designers, as well as a carefully selected group of consultants with which members of this team have established long standing and successful relationships. 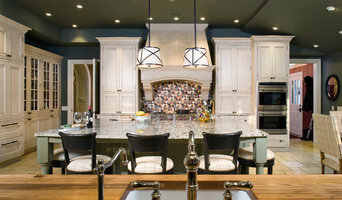 The firm specializes in high end custom projects. Since 1992, under Abby Schwartz’s supervision, the firm has completed a wide variety of projects including expansions, renovations, and new construction. Abby Schwartz Associates is also distinguished as a Woman Business Enterprise in Pennsylvania and has participated in numerous affordable senior housing projects sponsored by state and local agencies. Call our team to get started today! Warren Claytor Architects, is a well established architecture firm providing design services for residential architecture. We focus on our clients needs to provide them with amazing new spaces with plenty of natural light in their living areas with well detailed designs that create the warmth and comfort that we all seek in our homes. Services include: Architecture, Design, Landscape, Kitchen, Bathroom, Pool house, Mudroom, Carriage House, Master Suite, New construction, additions, renovations, historic projects, small projects, large projects, vacation homes, beach houses, country properties, small houses and modern designs. Wolstenholme Associates is a dynamic, growing architectural and engineering company located in the historic Doylestown, Pennsylvania area. It was established in 2005 by John Wolstenholme, AIA, LEED AP because there was a need for dependable, timely customer service, where clients are given the personal attention their unique circumstances require. Wolstenholme is comprised of professionals who reflect the firm’s commitment to high quality, sustainable design and client services, complimented by a strong network of consultants in all disciplines of engineering, land planning, surveying, landscape architecture and interior design. The firm holds Registered Architect licenses in Pennsylvania, Delaware, Maryland, and New Jersey. Karen Beam Architect, LLC is a one-woman firm dedicated to high quality residential architecture through a careful, personal design process. Karen focuses on understanding her clients' priorities and exploring a variety of solutions in order to arrive at the best design. She has worked extensively on older traditional-style homes, updating and enlarging them for modern family life while retaining the richness of detail of the originals. Karen tends naturally toward sustainable building practices, and is always looking for innovative, efficient solutions to the puzzle that each project presents. Wyant Architecture is a Philadelphia based practice led by partners Jeffrey Wyant and Maria Keares Wyant. The firm’s focus is on site-specific, custom residential architecture, including thoughtfully planned and detailed interior renovations, significant additions to existing structures and sustainably designed new construction. Wyant Architecture recognizes that successful design can enhance and reveal the best qualities of a place, to encourage connection to our environment and positively affect day-to-day experience. We find opportunity in the unique challenges presented by each project’s program, site and context, and believe that in thoughtfully addressing these distinguishing concerns, a building can transcend its primary function as shelter to shape environments that enrich lives of individuals and communities. Our work is characterized by clean, uncomplicated design solutions that gracefully fuse competing elements into cohesive settings that are meaningful and evocative. Mindful of our limited natural resources, we seek to build with integrity and awareness, contributing durable structures with a lasting relevance. As a small firm, key personnel are able to build and maintain direct relationships with each client, providing continuity throughout design and construction. Our process is highly collaborative; recognizing that dialogue with clients, consultants and builders defines problems and enables resourceful solutions. Accordingly, Wyant Architecture forms thoughtfully conceived design responses that remain sensitive to project goals, design objectives and budget concerns. How do I find the best Chesterbrook architect for my home design project? It is best to hire a home architect who will be involved in all phases of the design process, from the initial concept to the completed construction. The architect is often the first person you will hire for your project. If necessary, they might also help you select and hire Pennsylvania subcontractors, which can include the builders, engineers and landscaper. Interior architects are also involved in negotiating contracts for all involved participants. It is for these reasons that it is extremely important for you to have a good relationship with the Chesterbrook residential architect you hire. He or she can be the tie-breaking vote between you and the general contractor and can be your biggest advocate during the construction process. Different architecture firms in Chesterbrook, PA provide different services, so the scope of the work can span from pre-design environmental impact studies to selecting furniture and finishes, depending on what your specific needs are. It is very important to hire the right professional for the job. Remember that the most well-known or established designer might not provide the best architectural services for your needs. It all comes down to the individual project. Research and ask people whose work you like for recommendations. It's important to have somewhat of an idea of the style of house architecture that you prefer, as well as the amount you would like to spend. 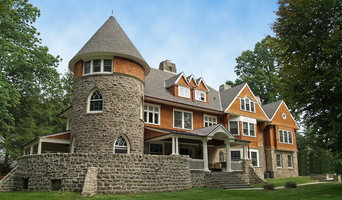 Residential architects in Chesterbrook, PA are natural problem solvers. They will assess the entire situation and help you to solve your problems too. Don't settle for a single company too early. Call and interview a few. Make sure that you feel like your personalities will mesh well and that you like their professional perspective. 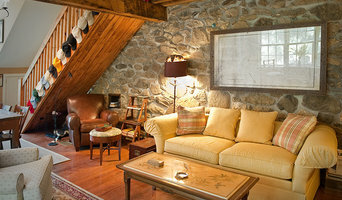 Find a home architect in Chesterbrook, PA on Houzz. Narrow your search in the Professionals section of the website to Chesterbrook architects. You may also look through photos of Pennsylvania projects to find interior architects and building designers who have worked on a project similar to yours.